Food Network Magazine is HERE. Each issue is packed with inside scoops & tips from everyone’s favorite TV stars. Plus hundreds of recipes! Food Network Magazine is a very unique magazine published by the Food Network. It differs from the usual food magazines in that it has a more enthusiastic approach to food. The magazine is packed with many recipes; and all the dishes are illustrated in stunning color to inspire the reader to try them. The casual reader will like the style of the Food Network Magazine, as it delves right into the facts, while remaining easy to read. 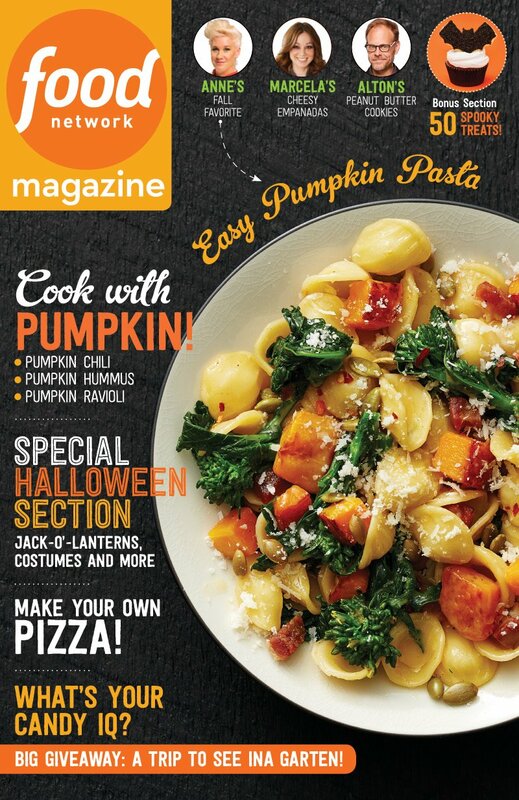 Food Network Magazine has very popular sections, such as: Copy that, where chefs recreate popular dishes from known establishments; Out of the box, where chefs create a dish from given groceries; and Weeknight and Weekend Dinners, where inspirational recipes are presented. There are tips galore, from many food-related scenarios to green cooking. The magazine has very useful information for food lovers and a good layout. Food Network Magazine features an extensive array of interviews with chefs and stars, focusing on their cooking knowledge. The primary aim is to keep the reader abreast of all current food trends. For example, if you want to know which foods are bad for your appetite, you may need to read the magazine. The magazine also makes an excellent holiday gift as it is highly practical. Even the table of contents has thumbnail pictures and page numbers of the dishes covered, to expedite searching for the dishes. Food Network Magazine can help you plan for any special occasion. Its wide array of easy-to-follow recipes and the accompanying inspirational tone can stimulate you to come up with great meals. Give yourself a treat, and get a subscription today.